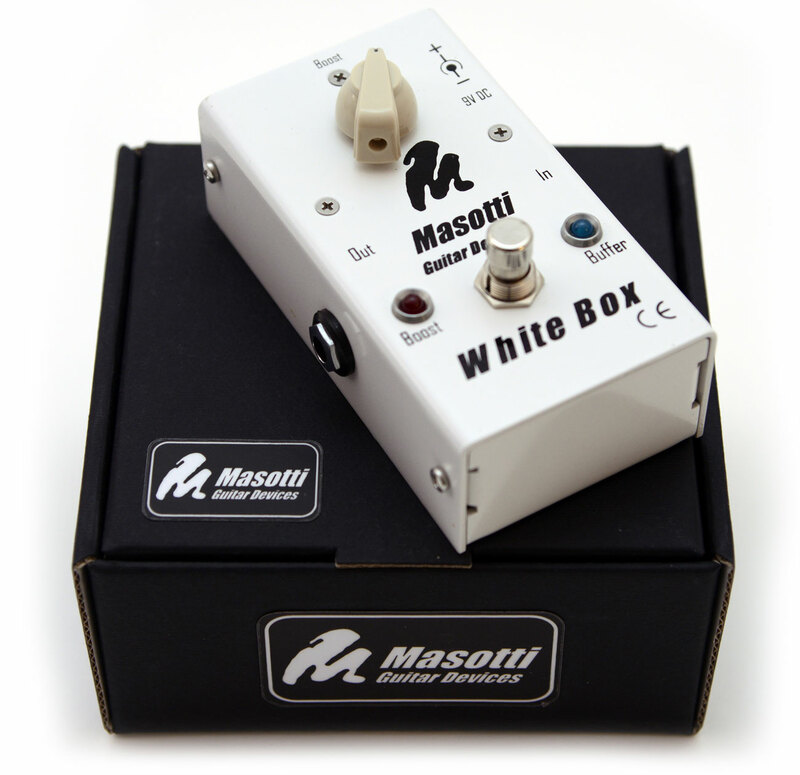 Masotti Guitar Devices is the result of a dedicated group of expert engineers and guitarists relentlessly working to achieve one goal: to create the ultimate, uncompromising guitar tone. Masotti Guitar Devices is the brainchild of Pierangelo Mezzabarba, a visionary amp builder, tone fanatic, enthusiastic guitarist and Marco Masotti, an expert engineer and guitarist. Operating since 1998, the company officially went to market in 2003 with its first products: the X3M 3 channel all-tube preamp, the Black Box buffer, the PW4 power supply and the TB2 looper. Collaboration with a plethora of renowned professional guitarists during hundreds of domestic and international tours allowed Masotti Guitar Devices to rapidly became a reference point for pro musicians. In 2013 Pierangelo Mezzabarba further raised the bar by founding Mezzabarba Custom Amplification, a brand which would quickly gain international traction, becoming synonym with unprecedented build quality and tone standards. All Masotti products shown in the price list (PDF) are still available as custom order only. 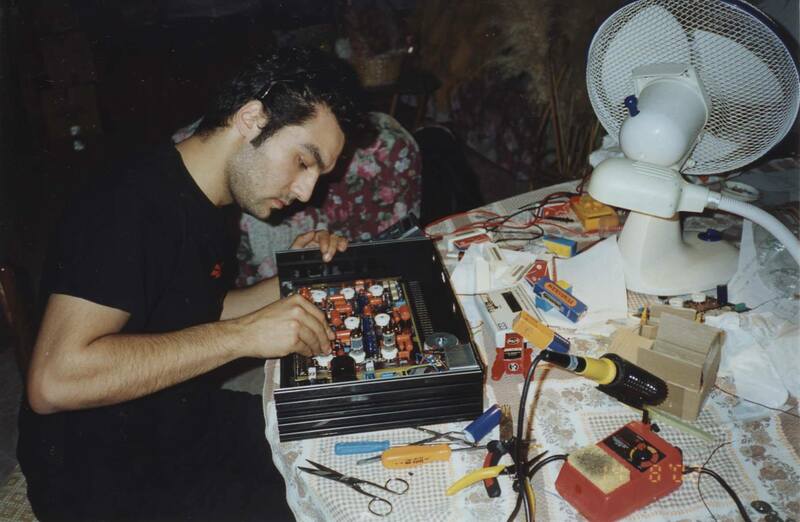 In the picture, a young Pierangelo Mezzabarba working on a prototype of the X3M Preamp in 2002. Even the world’s best amplifiers will not deliver their full potential if there are problems in the signal chain. And then there’s always the problem of how to control a pedal rack and various midi triggered effects. We have been busy analyzing the entire signal chain and producing various devices that correct many problems, as well as designing others that make using effects easier. From buffers to boost and keep the entire signal clean to midi mixers for the ultimate in effects flexibility, we can help you get the most out of your guitar amplification system. 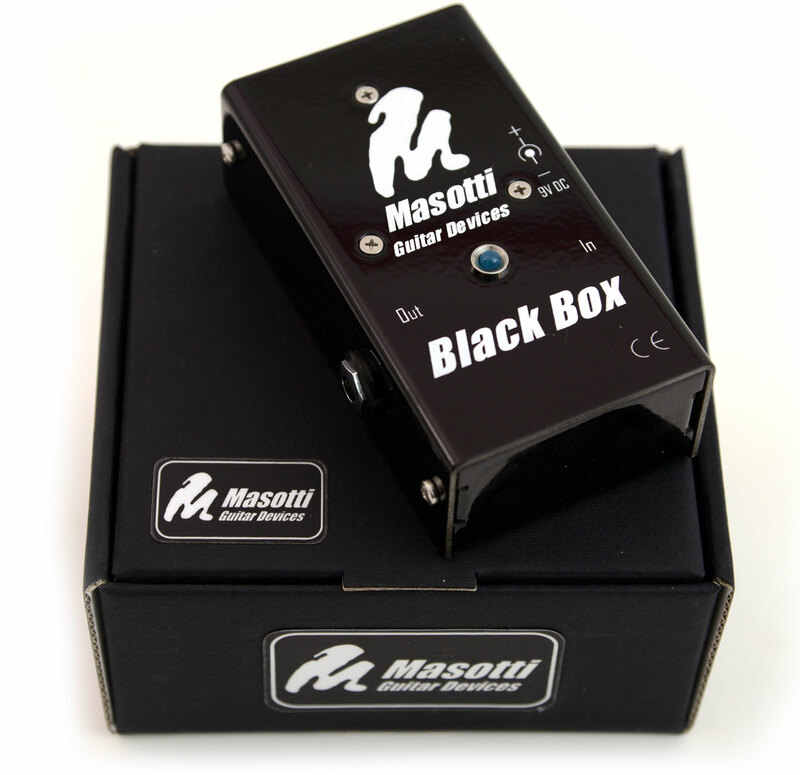 The Black Box guitar buffer device prevents signal loss and degradation through long cables and complex pedalboard systems. Long or economical guitar cords usually lose a lot of signal and often pedal effects use economical internal buffers and feature stomp-based true bypass systems. amplifier. In booster mode it can add from 0 to 25 dB of adjustable gain when you want to send a hotter signal through the pedalboard system and amplification. Switching between the two modes is completely clickless thanks to a new technology that separates the signal from the stomp button. 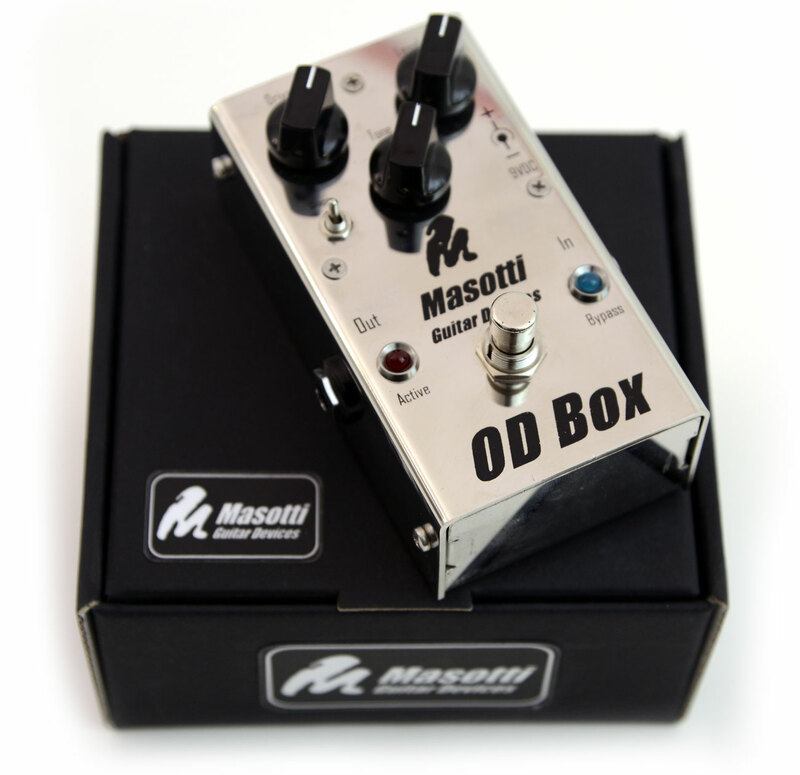 Our OD Box is a new overdrive pedal with extraordinary dynamics, sustain and definition. Although it has all the classical controls, the circuitry is substantially different from other overdrive pedals, and it delivers a sound and dynamic control way beyond that of other overdrive/distortion pedals. Position #1 (down): classical overdrive, soft, creamy, a bit nasally. Perfect for blues and fusion. Position #2 (center): the most extreme tone, with boosted extremes of bandwidth and a bass depth not found in other OD pedals. Perfect for modern sounds. Position #3 (up): a sound between 1 and 2 with a well defined character having a sharp attack and delivering full tonal definition. This position lets you best recreate the “British” sound. • Has an innovative true bypass circuit, based on a gold plated relay, to preserve all the frequencies when in bypass. • Power supply is both internal by a 9V battery and external by a stabilized power supply. Power consumption is about 20mA. the fourth at 250mA, and this unit can be customized to suit your particular needs. • Each channel is filtered and stabilized separately and there is a total isolation between the outputs. • We can ship your PW4 with any standard voltage (5,9,12,15 or 18V) in one channel free of charge. • For special needs we can modify a channel with a continuous voltage regulation. program or control changes. Using MIDI allows the memory and recall of your favorite combinations. The TB-6 features the Masotti True Bypass system and switching is completely clickless due to our microcontrollerbased switching technology. control changes. Using MIDI allows the memory and recall of your favorite combinations. It features the Masotti True Bypass system and switching is completely clickless thanks to our microcontroller based switching technology. • Contains four isolated power supplies dedicated to powering the effects: three channels deliver 9V DC-100mA, and the fourth delivers 9V DC up to 250mA. • Loop status is clearly indicated by the red led contained in the corresponding pushbutton. • Contains four isolated power supplies dedicated to power the effects. from the multieffects units are buffered in order to avoid degradation and then are coupled in parallel. Then the guitarist has the ability to regulate the various signal levels of the dry and the two wet channels to suit their needs. The MXM contains two midi controllable AUX1 and AUX2 contacts that can be used for switching channel in a non-MIDI amplifier or for loop/routing purposes. • On the rear panel we can find the following connectors: input (mono), send1 (mono), send2 (mono), return1 left, return1 right, return 2 left, return2 right, out left, out right, Aux1, Aux2, MIDI thru, MIDI in, lift switch, fuse socket and IEC plug for power supply. amps: Don’t compromise on anything. Period. What this “no compromise” approach leads to is a fluid, harmonically rich, detailed and dynamic tone that will definitely make you stand out and get noticed. The search for the ultimate guitar tone in a simple, easily managed amplifier has led to the Masotti M1. Not all guitarists need three separate channels, and many prefer to just use a distortion pedal. The M1 is perfect for them, with the same transparency and dynamics that Masotti amps are becoming famous for. This amp delivers all the tones necessary for yesterday’s and today’s music, WITH ONLY A SINGLE CHANNEL! 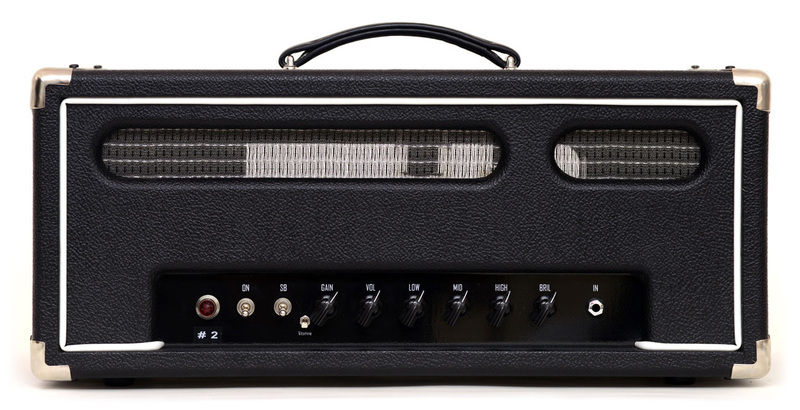 From a brilliant clean to a searing lead tone, this amp is the ultimate in versatility. • Perfect for those who prefer to work with pedals but still need an amp that renders pure transparency and accurate dynamics. • The power amp section features over spec’ed transformers and power supplies in order to offer much more headroom and reliability under extreme use. What this basically means is you can crank this mother all you want. She loves it. Continuing the all tube tradition, Masotti presents the 2 channel Afterburner with its incredible versatility and unrivalled tone. The Clean channel is the same as the punchy M1 and the Overdrive channel is the same as the now infamous X100M with its massive presence, all in a single 2 channel amp. This is truly a 2 channel beast that covers all tone s from a sparkling clear clean with amazing dynamics and brings out the best of pedalboards, to a powerful crunch all the way through impressive dist ortion that is dripping wet with rich harmonics while maintaining immense body and definition with a knockout punch. Finally the best of the M1 and the X100M in a single amp that offers the full range of the incred ible tones available from Masotti. • Channel 1 (Drive): From a pure and elegant clean to a very punchy brityish crunch, thanks to the Boost and Brite switches. • Channel 2 (Overdrive): The holy grail of tube driven overdrive: hot, harmonically rich with impressive presence and punch even in extreme distortion. • Available in 2 versions: 50w (49R) or 100w (99R) with EL34 power amp tubes and excludeable effects loop. • Controls: Drive, Overdrive, Bass, Middle, Treble, Volume 1, Volume 2, Depth, Presence, Master Switch. Boost and Brite switch, mute,drive and overdrive switch. 100 watts of pure, in-your-face guitar tone in a modern, midi controllable, 3 channel amp. We use only the finest hi-fidelity and military spec components in order to reach a tone that is fluid, dynamic, full and powerful and rely on specially designed over-dimensioned power supplies and transformers in order to deliver all that tone and power. What this “no compromise” approach leads to is a versatile amp that can go from sparkly clean to thermonuclear meltdown with the click of the footswitch. And in between there is a continuum of guitar tones that will make you sound great at any volume, and at every gain stage. Modern: This version is designed to for more modern sounds and can be built with either EL34 or 6L6 power tubes. With EL34 tubes the amp results in a more edgy and aggressive tone perfect for today’s Modern Rock and Metal, and devastating the first 30 rows. With 6L6 tubes the amp results in a more focused tone that is perfect for pop, jazz, blues and classic rock. Classic: This version is voiced to sound very “British” and uses 4 EL34 tubes to deliver a raw, fiery tone with lots of bit e, but with the signature Masotti fullness and power. This version is perfect for those who want the sought after “vintage” amp sound in a modern, flexible amp. The power amp section features over spec’ed transformers and power supplies in order to offer much more headroom and reliability under extreme use. What this basically means is you can crank this mother all you want. She loves it. Built with your choice of EL34 or 6L6 power tubes. Since the early 80s’ it has been every guitarist’s dream to be able to instantly swap between sounds and effects, however when it comes to amplification, the tradeoff has always been the loss of transparency, punch, and dynamics. Until now, that is. The Masotti Monster is an extremely versatile, full tube, single channel amp which integrates an internal robotized unit that is able to recall pre-stored settings by mechanically turning the various pots to their pre-programmed values! The control logics are completely separated from the analog, full-tube circuitry, which allows to maintain the signal 100% unaltered and true. Furthermore, each robotized pot is divided into a staggering 200-step resolution scale, which allows for extremely fine adjustments and an amazing array of overtones. The Monster allows for an endless array of possibilities since it combines the Clean sound of the M1 and the Crunch and Lead sounds of the X100M Classic. It has a total of 128 completely programmable presets and the robotized servos can control the Drive, Bass, Middle, Treble, Volume, and Feedback pots. Each sound has a dedicated Bright which can programmed and recalled via MIDI. Also the effect loop is programmable and recallable via MIDI. Master Volume, Depth and Presence, are controlled manually for increased customizability. Based on the premise that a musician’s time should be allocated as much as possible to playing and not fiddling with gear, we have made the interaction with the Monster as “natural” as possible: any soun d can be modified by simply acting on the pots and then saving it to the desire bank just by pressing the Store button. • Full tube single channel with 3 basic sounds: Normal, Drive and Overdrive, with programmable, MIDI recallable, Gain levels. • Motorized pots with 200-step resolution scale. Completely separated from the strictly analog, full-tube signal. • 128 recallable presets with any possible blend of sounds, controls, and options (brite and fx loop). No limits! • Serial, all-tube effects loop. Recallable via MIDI or from display. • Proprietary, Total Independent Rail (TIR) equalization system allows to completely isolate High and/or Mid, and/or Bass frequencies without affecting the other ones. • Special Master Volume section allows for extremely rich sounds at any volume, without losing gain or definition. • Power amp section features oversized transformers that deliver the best and most solid sound in any conditions, at any volume. Born from our collaboration with Baustelle guitarist, Claudio Brasini, the Mate embodies the vintage expression of the Masotti sound and perfectly suits Surf, Blues, and Indie genres. Its great looks, simple circuitry and the strong character which defines every great amp, the Mate has already conquered musicians who seek a true vintage sound combined with Masotti’s signature per sonality and reliability. The circuitry is Tweed-derived but manages to be growly and energetic in perfect Brit style. Harmonically complete, it delivers an extremely fast, dynamic, and transparent response which emphasizes the individual musician’s personal touch. Also in this case, we engineered the pre amp section so that it smoothly and naturally interfaces with pedals. The “Vitamine” switch adds a slight mid-high frequency boost which is ideal for darker sounding guitars or more aggressive genres. Just like all Masotti amps, also the Mate features our signature Total Independent Rail (TIR) equalization system which allows to completely isolate Treble, Mid, and Bass frequencies for unique sound flexibility. Also featuring, for the first time on a vintage amp, a full tube effect loop which can be piloted either from the panel or an optional footswitch and allows the insertion of delays or reverbs with absolutely no alteration of the vintage sound. Features 1 x 5751, 3 x ECC83, 1 x 12AT7 tubes in the preamp section and, in perfect Brit tradition, 2 KT66 in the power amp one. Probably the best tetrode in the world. Dimensions 50w: 58 x 23 x 23h cm. • 100% engineered and handmade in Italy. • Special Master Volume section allows to achieve rich and harmonically complete sounds at any volume.